I am always on the hunt for great Falafels because I make a pretty good one myself. We were in the area and needed something quick before a concert. 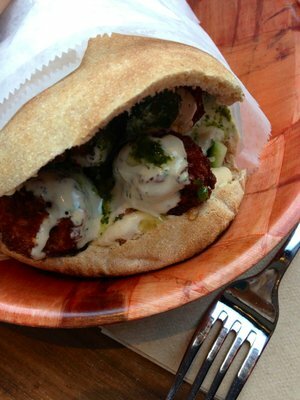 We tried the roasted pepper falafel with the works and the Sabich sandwich. The falafels were tasty enough, but the hummus that came with the pita sanwich was on the bland side. It needed a little lemon and garlic. 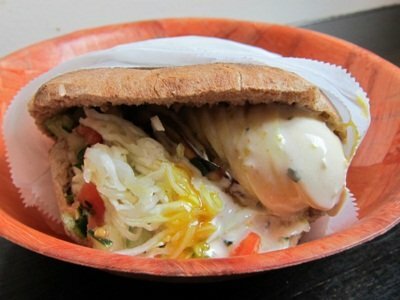 The sabich was OK and I would have liked it more, if it had more than one or two slices of eggplant. This place is perfect for hungry people because their portions were large.